As I sit here writing what is essentially my first attempt at blogging I have a pretty stupid grin on my face. For everyone else sitting around to me it’s probably just a routine part of their lives and has been for many a year. As they else sip on their lattes waiting for their number to be called I am sitting here dreaming of the new possibilities & opportunities that lie ahead, and enjoying the immense feeling of accomplishment. Where am I? I’m waiting for my car to be serviced. Yes, you read right; waiting for MY car to be serviced. You see, I’m a 25-year-old female, and up until a few weeks ago I did not possess a driver’s licence…or a car. It was a cloud that had hung over my head for almost 8 years. For most of that time I was filled me with dread and anxiety, at just the thought of getting behind the wheel. It wasn’t always like that. As soon as I turned 17 years & 6 months I was one of the first of my friends to get my learners permit. In that first year I drove on very very small roads on one of the Moreton Bay Islands, with my mum. I also had one professional driving lesson and did a day’s defensive driving course through school. I was off to a pretty positive start. Then came a bad driving experience with my father who thought he was being helpful by springing a lesson on me in the middle of a routine drive around town. It didn’t end well. With my confidence shaken – I put learning to drive in the too hard basket. As a couple of years went by it became a bit of a non-priority for me. If the public transport hadn’t been as easily accessible to Uni and my part-time jobs – I might have found the motivation to start learning again. The next thing I realise I’m living out of home with my husband-to-be, I’ve graduated university and I’m now in a full-time job. My other half doesn’t drive either (for some similar reasons to mine but also because he was in a car accident as a child and was scared out of driving) so life starts to get a little difficult for both of us. We are starting to have to rely on friends & family to help us with little things. During this time I was also battling depression and anxiety. Once leaning to drive was something that I was “too busy” to do because I was studying or working. Now the concept of driving became a fear; something that I often pushed to the back of my mind. If I thought about driving too much I would become lost in the feelings of disappointment & self-loathing. Sometimes this was to the point that I would feel physically ill. It was something I knew I would have to do one day but the more I pushed it aside, the more I was convinced I just couldn’t do it. During the middle of the year my family was going through a very challenging time. My lovely mother-in-law was in a losing battle against cancer. During her final weeks I remember talking to her about driving. She told me one of her regrets was not pushing her son (my husband) to learn how to drive. Right then, with her by my side I called a driving school and made a booking with them! Not really sure why, but I think deep down I knew she didn’t have long with us, and I wanted her to know that I was going to look after her son and encourage him. She passed away a few weeks later. August 2010 was my first driving lesson. First time sitting in the driver’s seat for over seven years!! My palms were so sweaty; I was shaking so much that I could barely turn the car on. I was a mess. In my first lesson my instructor took me down the busy Waterworks Rd and for a drive around Mount Coot-tha. When the lesson ended I felt amazing! I had made the first step toward conquering my fear of driving – maybe I could do this after all. As the lessons when on, my confidence grew. There were some days when I would make silly mistakes and would get frustrated that I wasn’t picking things up faster. My instructor was aware of my fear, yet was very reassuring. I often would beat-up myself thinking that learning to drive at 24 was pathetic but I was surprised to learn that my instructor taught such a wide age group – his oldest student being in their 70s! A year later – I’m sitting inside the Rosalie test centre waiting to sit my practical driving test. Nervous but feeling good. I’m not sure what to expect and I’m trying desperately not to let my mind wander, and think about the cartoons that portray the driving test examiners as being monsters – or as my dad-in-law puts it “failed cops with a grudge against the world”. This was what his experience when he sat for his driving test years ago. My name was called and a lovely granddad-type gentleman introduces himself, suddenly I’m a little less nervous. The test starts off well until… *doom doom doooooom* I find myself at the massive Toowong Roundabout. I freeze, I freak-out, I made a critical mistake. Test over. I’m not going to lie to you – I went home and had a good cry. Especially, after realising I wasn’t able to book my next test in until after my learners was due to expire. (For those of you unaware of the new Queensland, Australia licensing rules – this meant I needed to renew my learners for another 3 years and pay another $115 when I possibly only needed my Learner’s Permit for another week or two max). I felt heartbroken, like I was letting down so many people. But a few of my work colleagues insisted I try another test centre. Queensland Transport at Zillmere had a number of free bookings for the week after – but would I dare take a driving test in a place I have never been in my life? I stopped thinking, and just clicked BOOK. And I’m glad I did. Another good examiner who helped me feel comfortable. There were a few times during the test that I thought I stuffed it up. I could just remember the whole time thinking ‘have I passed, have I passed, have I passed?’ When we pulled up at the test centre again, my examiner reviewed the whole test: said what I was good at, and not so good at. He knew I was just dying to find out and being the character he was, was enjoying milking every moment of keeping me guessing. 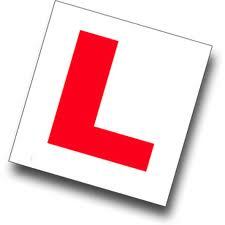 I was pretty overcome with many congratulatory tweets from friends who have been following my ‘learning to drive journey’ for the last year. I finally did it! Meanwhile, a few weeks earlier my husband and I purchased our first car. We went a little ‘all out’ on it and purchased a new car and given that learning to drive has been a huge mental challenge for me – I felt it was a worthy reward. Every time I look out into my driveway it reminds me what I’ve accomplished. My little blue Mazda and that piece of plastic that I carry in my wallet are a symbol for me that I can do anything I set my mind to. They are my constant reminder of the confidence and independence I now know I have. I never thought it was possible to become so attached to a piece of metal on tyres, but I really do love my car and can see why some people are so attached to theirs. A few weeks ago during an early morning thunderstorm I found myself in my pyjamas, in the rain, at 5am covering our car in blankets to protect it from any hail. I’m not sure how many other people are out there who find themselves in a similar situation to mine, but I guess if I have any advice for anyone it would be JUST. DO. IT. Take the initial step and you are already on your way. Find a good driving school in your area – sometimes learning with friends or family can do more harm than good. Many people have told me that people learn to drive at different paces. Take your time – for me it was a whole new level of awareness and required concentration, patience and a lot of practice. Last of all, have faith in yourself. You can do it! I wish I could have told myself that earlier. But just in case I ever forget it I have a quote written by Anna Freud on the mirror that I look at every day: ‘I was always looking outside myself for strength and confidence, but it comes from within. It is there all the time’. Jen is a Pop culture geek, lover of great music + radio & comedy fan-girl. Occasional ‘Jen-tertainment reviewer’ for Spencer Howson on breakfast radio 612 Brisbane. She shares her own views on Brisbane life and being in the front row of live entertainment. Learning to drive and writing your first blog! It always surprises me when I meet people who don’t drive. 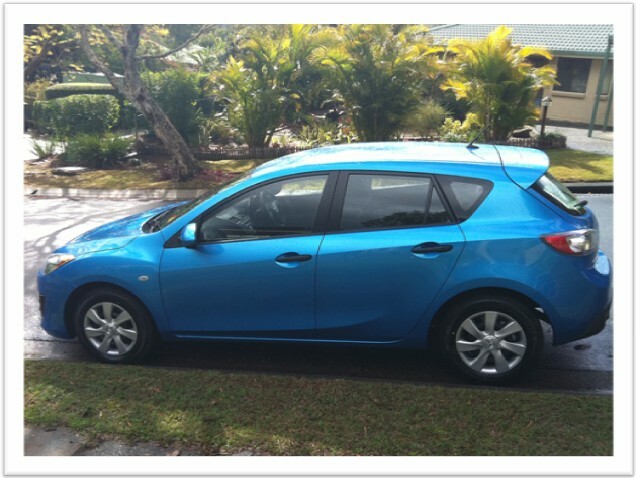 Good for you Jen – blog and driving. When I first wrote an entry on willasted.blogspot.com at the start of this year it was a great cathartic feeling – it’s truly that adage of “journey of a thousand miles begins with single step” – or writing that first word down. Remember my first driving test in UK and then having to do it again when I came to Oz – and all those bad habits I had learned in between didn’t help, so failed first time here!! Finally, hope that quote on your mirror isn’t on the rear-view mirror blocking your view!! Hey Dave, thanks for those lovely comments.